For many years, little was known about the way a building consumed energy. The more that is learned about building science, the easier it becomes to save energy and make buildings (and residents) more comfortable. 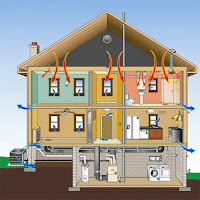 Building science involves the study of airflow. Improper airflow can affect the health of building residents, cause mold growth, spread pollutants, and result in energy loss. Properly managing airflow increases the efficiency of a building, reduces stress on HVAC systems, and controls indoor air quality. Controlled airflow is airflow that is managed through mechanical devices. Controlled/mechanical airflow allows a building to efficiently ventilate inside air and bring in proper amounts of outside air. Uncontrolled airflow is what is known as a “leaky” building. Air flows in and out of the building in a random pattern. It works against the home’s energy system, causing more stress on the HVAC system and other mechanicals. Sealing air leaks and adding proper home ventilation are two key steps to making your home more efficient. 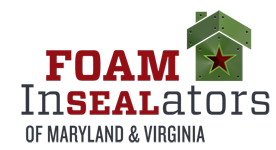 Spray foam insulates and seals air leaks in one step. Combine this with proper ventilation and your home is on its way to being more energy efficient, have improved indoor air quality, and more. 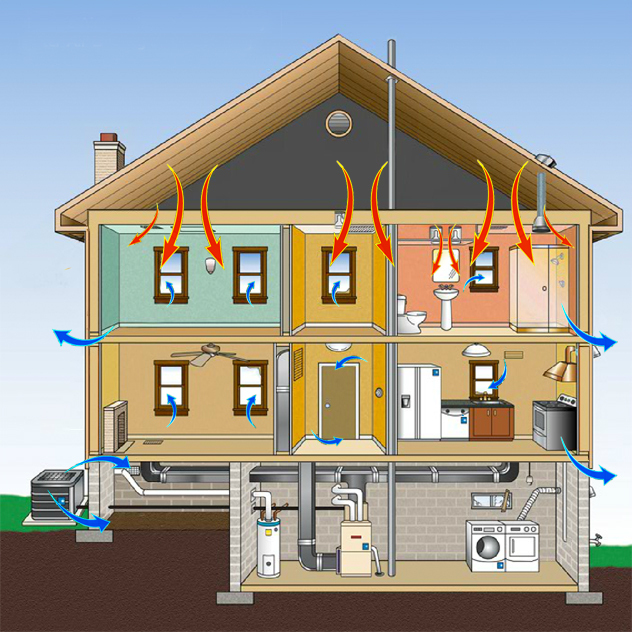 Have questions about your home’s ventilation and overall energy efficiency? 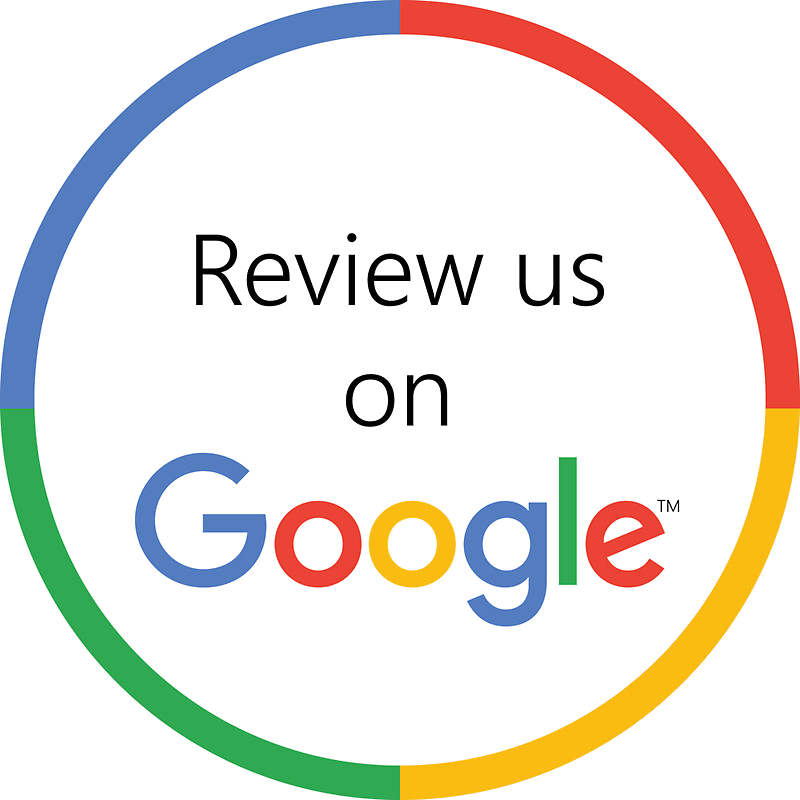 Contact our office to speak with one of our spray foam insulation professionals.